These vents mount in between the top and bottom plates of custom chrome air cleaner assemblies. Vent tube accommodates breather hose without drillng into filter base. 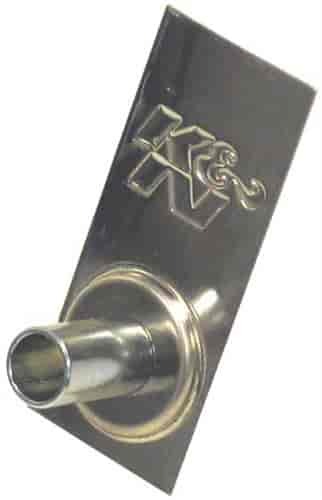 K&N accessories and replacement parts are made with the same high standards you have come to know from K&N. From air filter hardware, adapter flanges, vent tubes, base plates, K&N can provide what you need to fit your application.